Monograms provides travellers access to a Local Host®, so you will have someone on hand to answer those vacation questions pertaining to Guatemala City, Guatemala. No waiting in line at the concierge desk or trying to ask your waitress at breakfast directions to the shopping district. 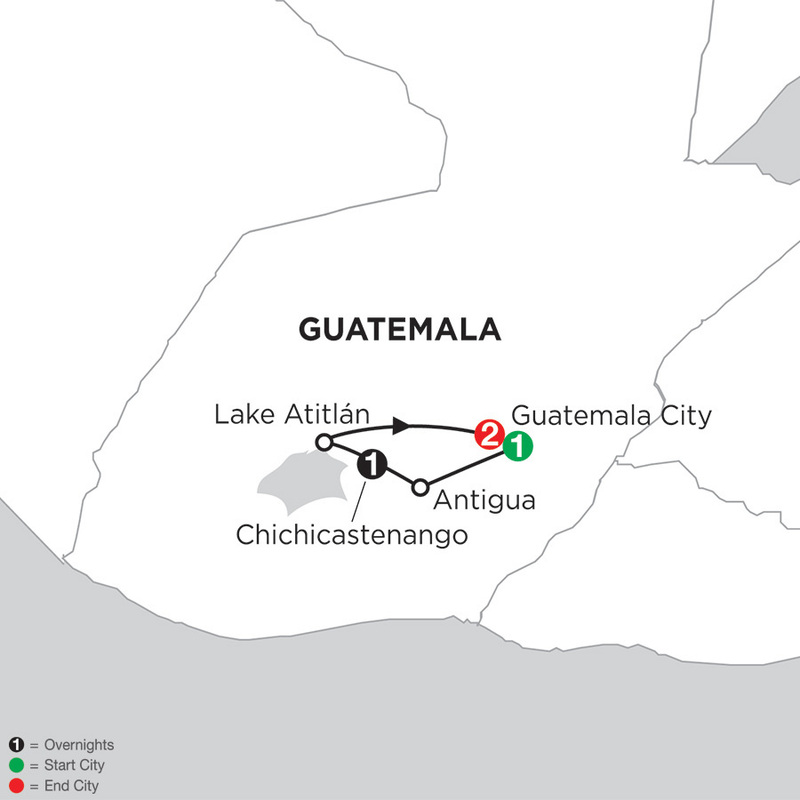 Simply ask your Local Host about Guatemala City and you'll be on your way in no time. Plus, your Local Host will share local Guatemala City insights and share suggestions for getting off the beaten path, leaving you more time to create lasting vacation memories that are yours alone. A seemingly endless maze of underground passages is home to the Mercado Central, where handicrafts from the highlands are hawked from overstocked stalls. The leather goods, wooden masks, and woolen blankets found here are often cheaper than other markets, it’s a wild and bustling market so be sure to watch your belongings. A lot of fun!